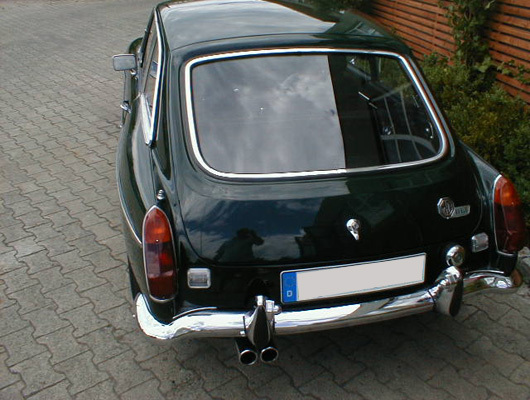 We understand afficionados who want their vehicles altered to their own exacting requirements. 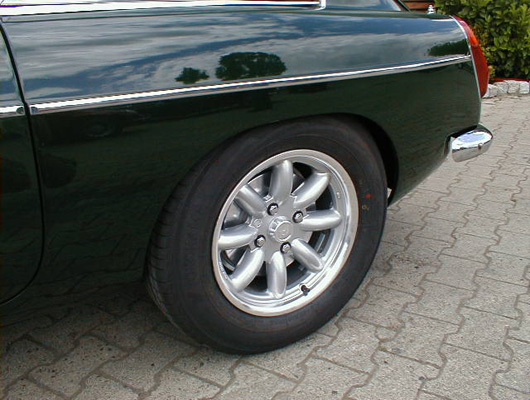 At Classic Wheels we can transform your vehicle into your very own chariot of desire. 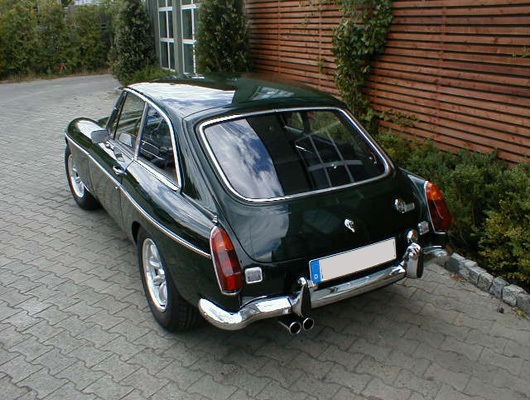 Our bespoke design and manufacturing service encompasses performance enhancements to drivetrain, chassis and suspension, as well as bodywork modification. 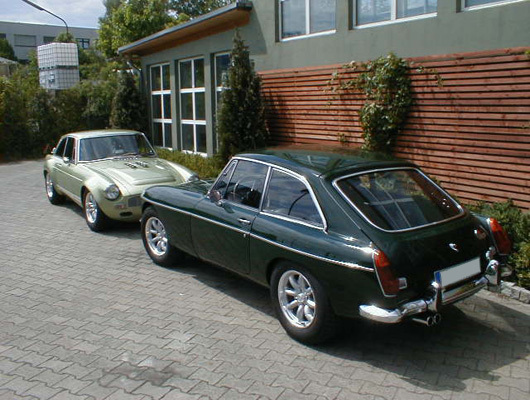 Shown here are two MG B V8 customs transformed in our Hegauerweg facility. 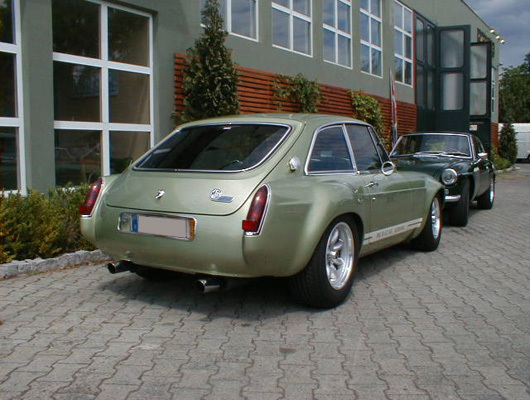 Check out the curvaceous wheelarch flares on this racing green B V8. 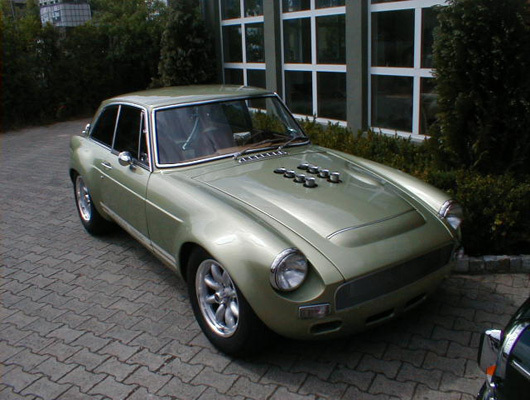 All metal, no fibreglass, no filler. We reckon those fine fellows from Abingdon ought to have built them like this in the first place. One thing is for certain. 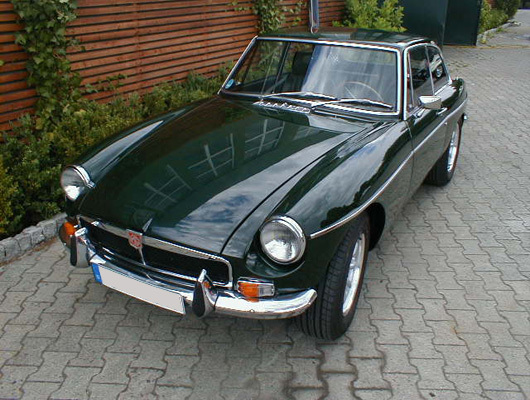 No MG B V8 ever left the factory with quite this much power under the bonnet. Rather than detail all the work we carried out, we offer this simple warning. Do NOT pick a fight with this little green meanie. 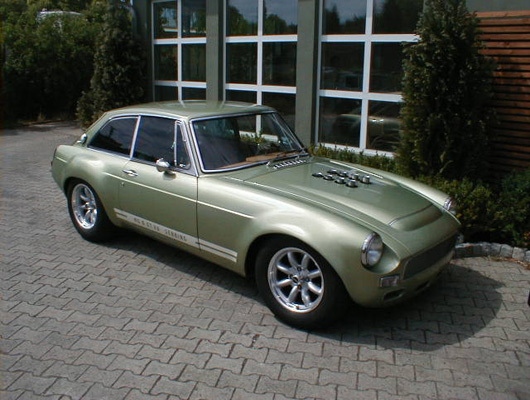 Those wide Compomotive rims are there to try and get all that power down onto the tarmac, not just for show.